This is the Gold version of ROM Installer APK which unlocks premium features in the free version. 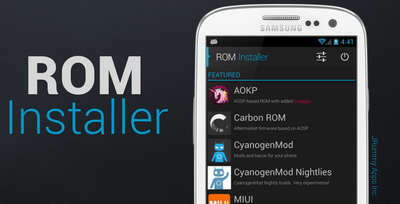 You can use this app to search and install any ROM you need from an easy-to-use interface. It's an indispensable tool for any root user. - Options to wipe data, cache, dalvik, etc. - Extract files and apps from nandroid backups. This application requires superuser permission. ROM Installer does not take any responsibility for any damage it may cause to your device. You should always know how to restore your device and be familiar with what you are doing before proceeding to make changes to your system.